It has become the norm for dramatic discounts to be offered on NBA Live given that the series has failed to gain traction in recent years even despite marginal improvement in quality and a few slip-ups from the competition. However it is still wild to see the price of an in-season, and actually in this case mid-season, annual sports title drop this low. NBA Live 19 is available now and for the next week for just $6 digitally on both PlayStation 4 and Xbox One. 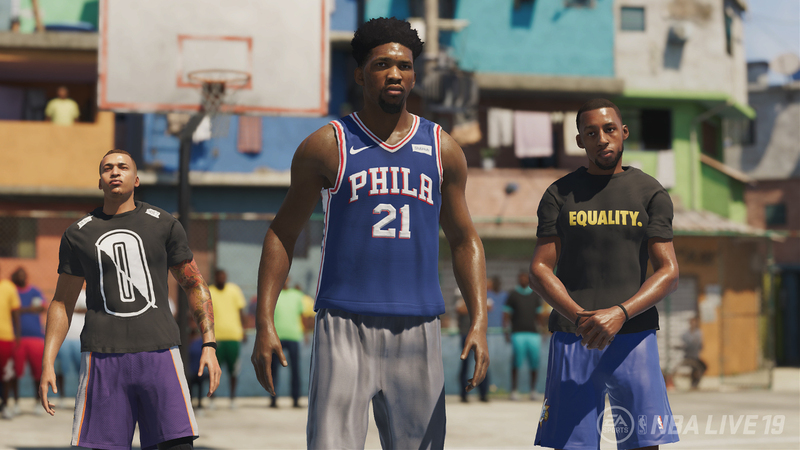 While NBA Live 19 lacks the immense depth of the NBA 2K series it is definitely the more approachable title in how it is easier to just pick up and play and doesn’t add a layer of pressure through aggressive monetization. At such a low price it could be enticing for those looking for an NBA game as the season starts to heat up and head into the playoffs that don’t want to invest a lot of time and money simply to compete and have some fun with the game. The plummeting prices mirror what happened with NBA Live 18 when that game last January hit a low of $7.50. Those on Xbox One with an EA Access subscription however may want to consider passing even on this deal, as the game will likely be added to the Vault later this month. NBA 2K19 is also on sale but for $20 on Xbox One and PlayStation 4. The future of the NBA Live series remains in serious question as the licensing agreement for EA Sports nears its end. The recent contract extension for $1.1 billion between the NBA and Take Two will lead to even greater scrutiny. EA Sports has been losing money on the franchise for a decade now. While they would like to keep the NBA in their portfolio to help fill out a subscription service and hope to eventually see digital revenue grow from Ultimate Team it’s a difficult thing to justify to investors who see nothing but losses and little reason for optimism.